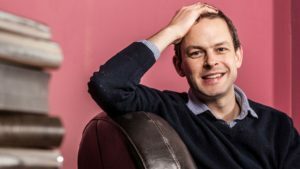 Interview: James Barr – So French! In 1916, in the middle of the First World War, two men secretly agreed to divide the Middle East between them. Sir Mark Sykes was a visionary politician; François Georges-Picot a diplomat with a grudge. The deal they struck, which was designed to relieve tensions that threatened to engulf the Entente Cordiale, drew a line in the sand from the Mediterranean to the Persian frontier. Using newly declassified papers from the British and French archives, James Barr brings this overlooked clandestine struggle back to life, and reveals, for the first time, the stunning way in which the French finally got their revenge in the fascinating book A Line in the Sand . 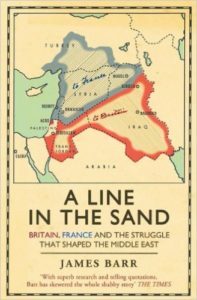 So French spoke to James Barr, exactly a Century after the Sykes-Picot Agreement. You can listen to the entire interview here. Recorded in Paris, via Skype, on May 27, 2016. Pingback: Episode 11 – Meddling in the Middle East & Betting on Brexit – So French!